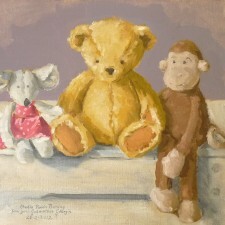 It is hard to know what to hang in a childs’ nursery. 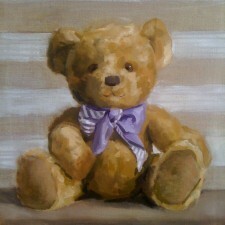 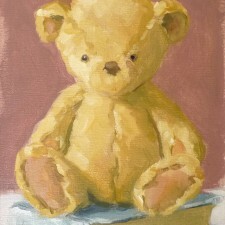 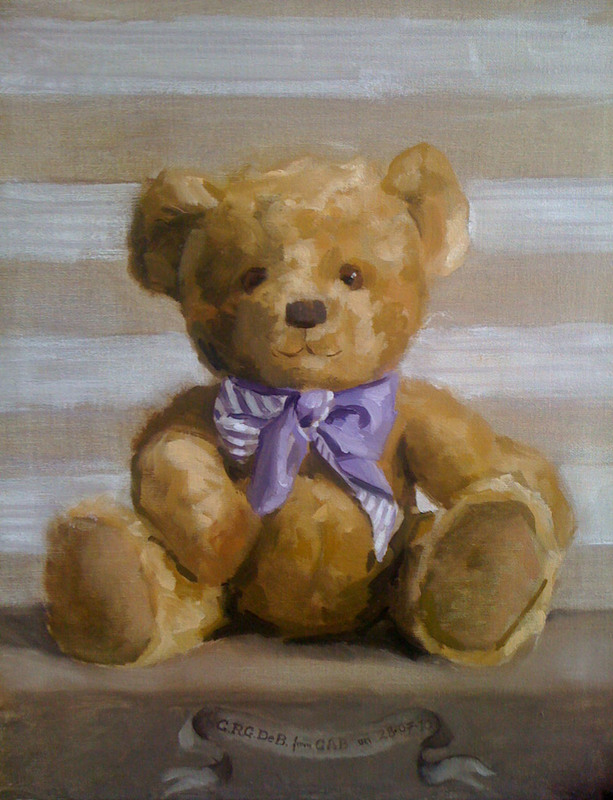 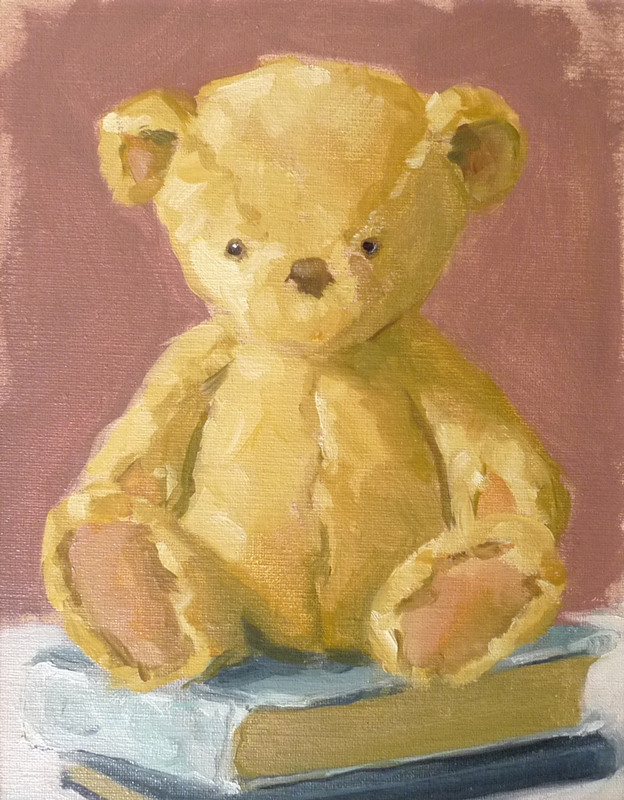 They adore to have a painting of a favourite bear. 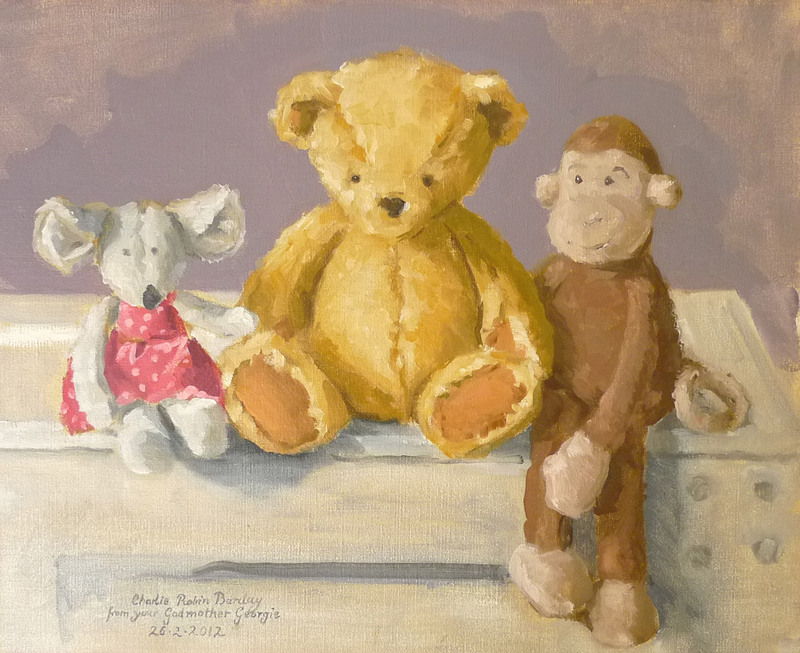 Nursery pictures make wonderful and original Christening presents.